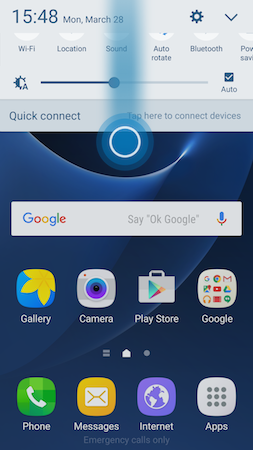 Galaxy S7: How do I use Flight mode on my Samsung Galaxy S7? 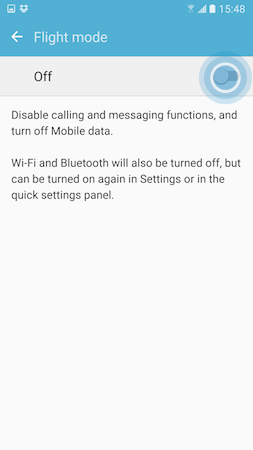 FAA regulations require you to turn off your device or set it to Flight mode for the duration of your flight. 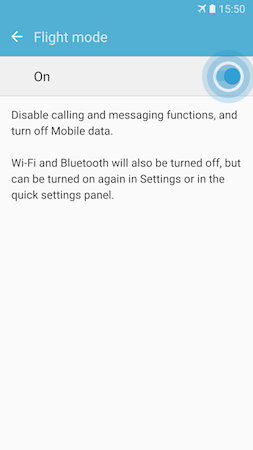 The Flight mode feature turns off your device's connection to your wireless service provider as well as your device's Wi-Fi® feature. 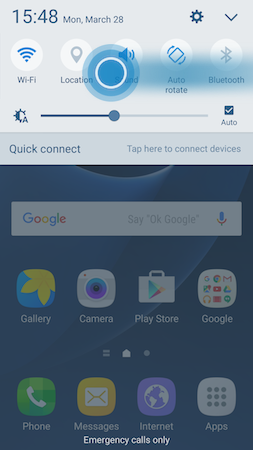 After your flight, you can turn off the Flight mode feature to reconnect to Wi-Fi and mobile data networks. 2. Tap Flight mode . 3. Tap the slider to turn Flight mode on . 4. When Flight mode is on, you will see the Flight mode indicator icon in the status bar. 1. 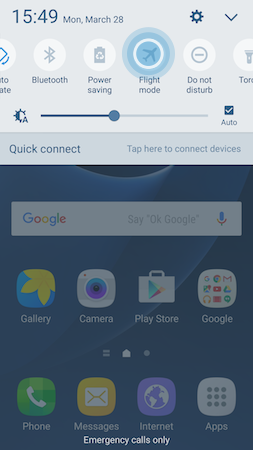 Swipe from the top of the screen to the bottom to access the Notification Panel. 2. Swipe to the left. 3. Tap Flight mode . 3. Tap the slider to turn Flight mode off . 4. 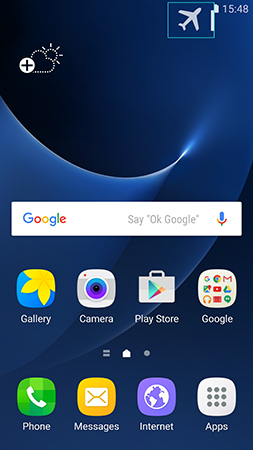 When Flight mode is off, the Flight mode indicator icon will disappear from the status bar. 3. 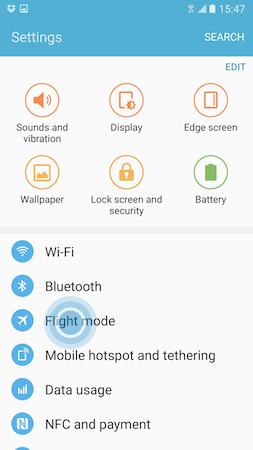 Tap Flight mode to turn off Flight mode. 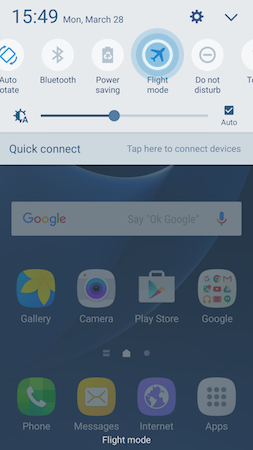 Galaxy S7: How do I use the Auto restart feature on my Samsung Galaxy S7?